Traveling Players Ensemble is in residence at The Madeira School in McLean, VA. Daily transportation is provided from conveniently located pick-up/drop off points, including three metro stops. 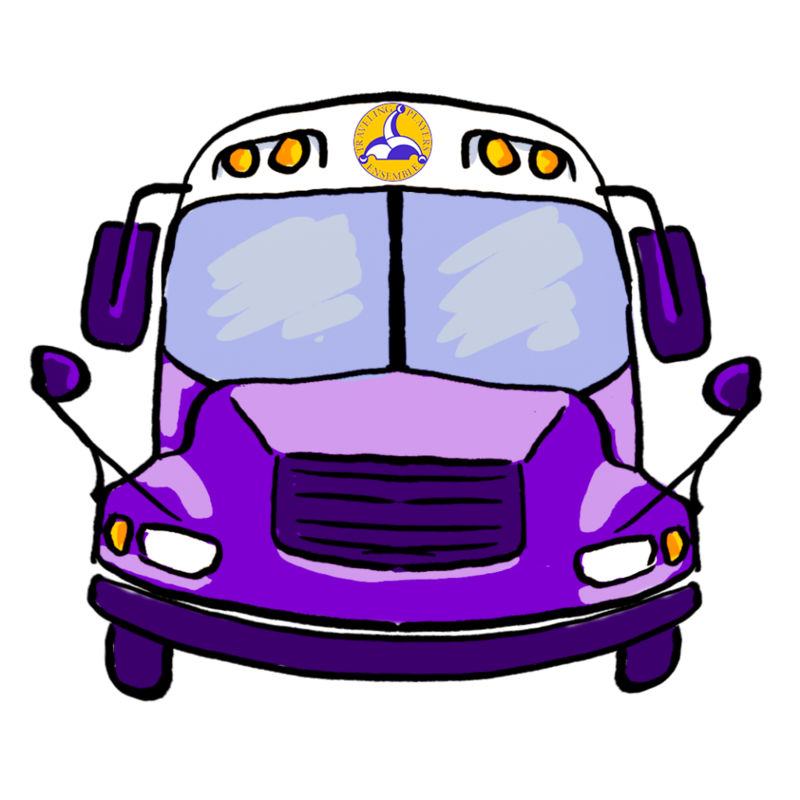 The excitement of Traveling Players begins and ends on our signature purple buses, driven by trained commercial bus drivers (CDL) who are at least 21 years old. Each bus includes a bus counselor whose job it is to ensure a safe and fun ride by organizing games and bonding our community of teen performers. Transportation is included in tuition. You can see a map of all our bus routes here. Campers may also be dropped off and picked up directly at Madeira, where they will be supervised by a staff member. Morning Drop-off is at 9:00 am. Afternoon pick-up is at 4:00. 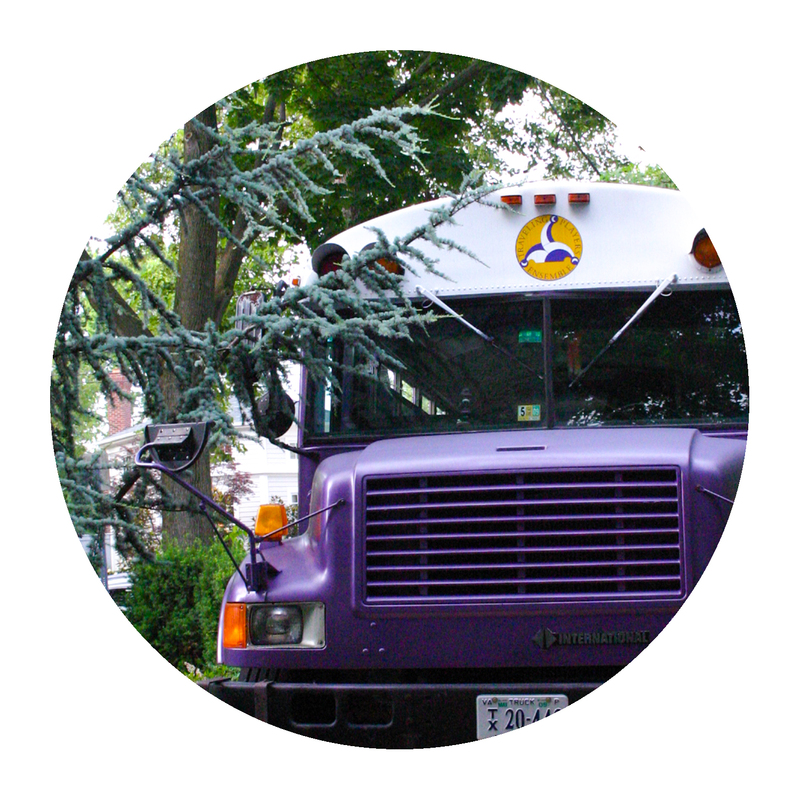 Learn more about riding a purple bus!